During my recent presentation on creativity and creative thinking to the AAF Rio Grande Valley, I referenced using creativity to help solve problems. No matter how cutesy an ad looks or what kind of special effects one uses, if a problem does not get closer to being solved, the process is not doing any good. The following video is one I suggested that interestingly addresses how creativity helps solve problems. It’s an excerpt from this year’s Aspen Ideas Festival, where a group of people who work in media, design, and the arts were asked about how the creative process can lend itself to unlocking solutions. I recently had the honor and pleasure to present “Kick Starting Creativity Without Screwing Up the Idea” to the American Advertising Federation Rio Grande Valley. As with my other presentations in this series, I did some fine-tuning with this version. I was last in the Valley before this same group back in 2008. The landscape and development may have changed (more of it) but the people have not – still friendly, wonderful, courteous . . . and, of course, creative! Those of you who were in the audience can, hopefully, enjoy it again and get some useful tips. Those of you who did not experience it that day, may learn a few things. Naturally, what follows is just the visual and not, unfortunately, the experience itself. I’m a follower of Seth’s and subscribe to is blog (linked above). There are times, however, when I wish he’d get into more detail or provide more insight about his points. This is one of those times. In his brief post referenced above, he’s right. Paralysis is our enemy. We can do nothing when it envelopes us. We have to meet it head on and that can be scary. How do we do that? Well . 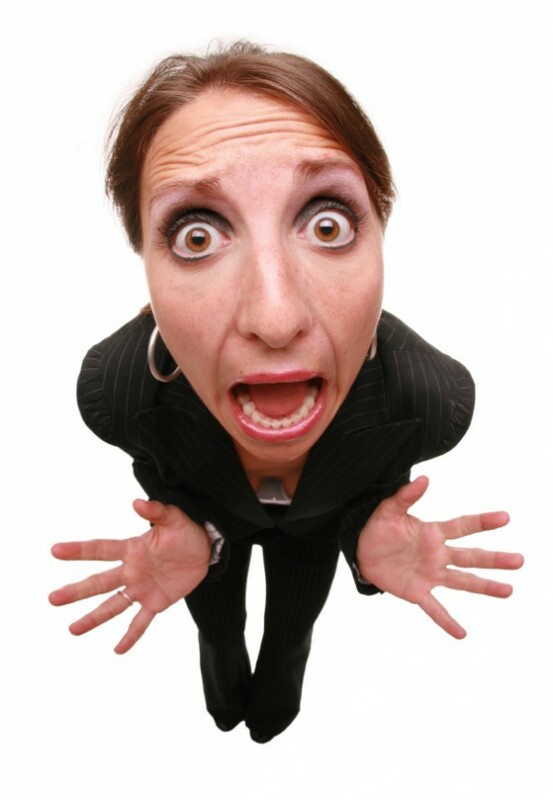 . .
My earlier posting of “13 ways to deal with fear” also touches on the paralysis factor. We need to do something to jar ourselves out of this newly immobilized state. When Seth states that paralysis is the enemy, how would one deal with one’s enemy. You can’t ignore him (the enemy), but you could go in another direction to get around him. You’ve faced him before and you’ll face him again. How each of us reacts depends on us. There is no one solution or antidote. What do you think? How have you dealt with paralysis? As Rodney Dangerfield would say, “I don’t get no respect.” Creativity is like that, as are, for the most part, the artisans and thinkers who practice it everyday. Creativity is not a commodity, like a loaf of bread or a carton of milk. Those items are commodities. But what if that bread was a special blend of pumpkin, barley, cranberry and wheat? It would still be a loaf of bread but the process of blending different ingredients to make the loaf atypical (and still tasty) is creative. A lot more than just adding ingredients goes into making this special bread loaf. The baker has to know what he or she is doing, what may work and what may not. It’s a process, and a creative one. Do they teach that in culinary school? The art of creativity is a disruption to the normal way of thinking. As a society, we need to be more disruptive, more open to solving problems while exploring opportunities. In being creative, one doesn’t accept the status quo; one wants to change and improve upon it. This frightens some folks. They don’t like change, and don’t have a great deal of respect for those who do. They don’t understand the creative mind or the process. They merely view it as a commodity. Hmmmm, a showing of respect for the process? Who knows, if they’re really daring, they may consider introducing a new line of baked breads. Heaven forbid that the consumers get another choice! This creative thinking is a disruption to the status quo. This won’t set well with those who don’t want the status quo changed. Respect for those of us who do? Forget it! Yet, creative ideas for the most part have flourished over the years. Along with this, various media have caused a different type of playing field to be formed with creativity serving up some new and different rules. Creative options equal what-ifs. Commodities don’t care about what-ifs. Creativity lends itself to storytelling. Commodities don’t (I suppose they can but it would be rather challenging). Creativity allows for storytelling to be transformed into Web, mobile, social, broadcast, print, wherever. There’s a disruption in the creative process, and the art of storytelling is leading the way. You can’t do that with a commodity. Long live creativity. Long live disruption. We’ve all been there. We’re never quite sure what do to but we feel like we’ve gotta do something. NOW. But we can’t. We can’t think other than in scattered ways. Incomplete. Disjointed. Frustration sets in. We feel stymied because our creativity has stopped flowing for whatever the reason. Uh-oh, what’s that. A strange sound. It’s him! Fear comes a’knockin. Fear, as in being afraid (what if the client hates my ideas), being scared (what if I can’t come up with any ideas), feeling intimidated (there’s always someone lurking in the shadows with better ideas). Fear is also what you get when you sense F.E.A.R. – Failure to Execute Achievable Results – with the key word here being “achievable.” The results need to be just that and not unattainable. Up to now, we’ve referenced two of the three “F” words, fear and failure. The third one we don’t experience nearly enough. That would be fun. As long as you have fear of failure, you’ll never have any fun! Dealing with failure is easier than dealing with fear; not that dealing with failure is ever easy. It’s not. It’s embarrassing, even humiliating at times. But failure tends to be short­ lived, relatively speaking. Society and corporate culture-wise, we talk much more about weaving failure into our systems, our processes. Sometimes it’s all talk and not nearly enough practice. Many successful and innovative companies build and accept failure as a natural way of doing business. More companies should but probably will not. They don’t seem to understand that in order to achieve success, failure is part of the journey. Fear, on the other hand, can torment, destroy, self-inflict. It can absolutely kill creativity. You’re angry (about a shortened, possibly unrealistic new deadline), depressed, distraught (you do not want to fail to execute anything). You may even be mystified as to why this happened to you. Ever receive a phone call late on a Friday from an upset client telling you that new and much better creative needs to be on his desk by first thing Monday morning . . . or else (he doesn’t have to say “or else;” the intimidation suffices)? And nothing you can say will alter how he’s feeling at that point in time. Hell’s bells, you didn’t have plans for the weekend anyway, didja?! How do you deal with fear when it attacks creativity, especially when on a deadline (realistic or not)? Fear is hardly ever dealt with, but is dished out way too easily and usually without a care. That’s unfortunate since fear is a dangerous and deadly poison to the creative mind and process. Now, you may have your own way of dealing with fear. Whatever works! We can’t stop it from happening but we need to try our damndest from letting it totally shut us down. I have fun when I’m head over heels in the creative process, and I try and remember that when fear comes a’knockin. Come to think of it, I guess I could also change the locks! We hear it probably more than we should. Is it becoming an overused word or has it attained that status yet? Yes, I believe “innovation” is an overused word. And, it’s applied by folks, some of whom should know better, who think every creative endeavor is innovative. I wish that were the case. It’s not. According to Wikipedia, “innovation” is the application of better solutions that meet new requirements, unarticulated needs, or existing market needs. This is accomplished through more effective products, processes, services, technologies, or ideas that are readily available to markets, governments and society. The term innovation can be defined as something original and, as a consequence, new that “breaks into” the market or society. So, the next time you change that blue logo to green and make it larger (along with a change of font, of course), you’re not being innovative. It may still be questionable as to how creative you’re actually being. Of course, innovation goes far beyond a logo or font change. Today’s innovative spheres are super competitive. Just look at the escalating war between Apple and Samsung. In a recent article by the Associated Press in the Houston Chronicle, the two are back in court this week, accusing each other of stealing ideas and features on their smartphones. Litigation could lead to more expensive devices for the consumer and slow the overall pace of mobile innovation. Apple and Samsung are in a league of their own. They share that “super league” with the Googles, Amazons and Microsofts. For the rest of us on this planet, how should we approach innovation? What should our mindset be? – one has an insight to justify an innovative approach. Otherwise, he says, what one ends up making is gimmickry, inevitably destined for the digital landfill. One thing is for certain: We cannot stop innovating, thinking differently, and, yes, counting our failures (they will come, ya know). Agree? – Disagree? – Thoughts? – Comments? Being creative is fun. It’s also a challenge. Staying creative can drive ya nuts! 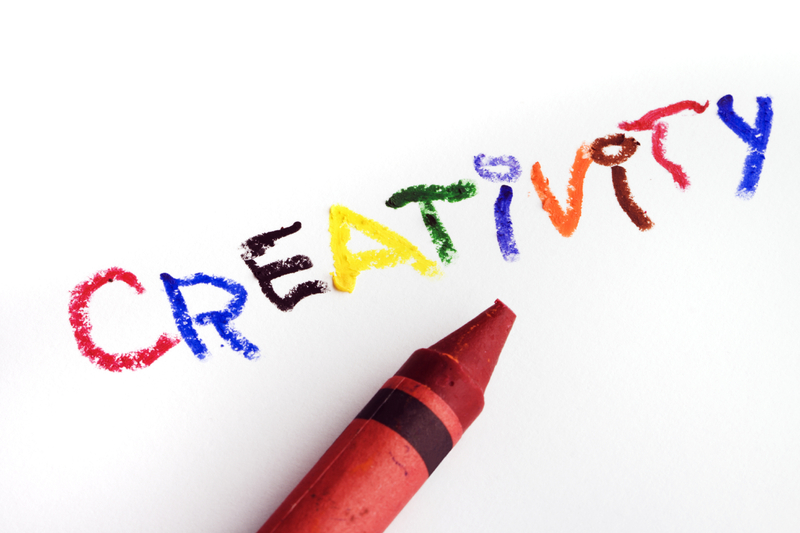 Let’s face it, we’ve all seen lists of various ways to improve on our creativity. There is no all-encompassing list, and, no doubt, if we shared our lists with one another, there would be overlap. I recently came across this video in a post by Kevin Allen on Ragan’s PR Daily and couldn’t help but smile and chuckle a few times because of their take on compiling the list, not so much the elements on the list (they’re all valid and we should take them to heart). The video link below is from Japanese design firm To-Fu. It highlights 29 techniques designed to get the creative juices flowing. I’ve had good success with some of these techniques. and #21 Break the Rules . . . we probably don’t do enough. Enjoy! It’s a little different.